Manufacturing in today’s global economy can involve a complex supply chain with multiple suppliers, contracts, and terms. Simplifying transactions, from PO to payment, can free up your team to focus on strategic plans for business growth and product development instead of spending valuable time on low value-added tasks. 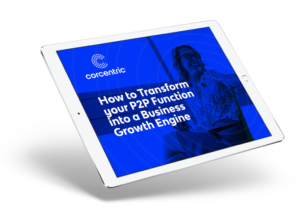 Corcentric’s tech-driven procurement and financial processing solutions help manufacturers wisely manage their B2B spend and increase working capital and cash flow by optimizing procurement and P2P processes. Take control of your indirect spend with stronger purchasing power and smarter spend management. Corcentric’s indirect spend program tracks purchases, guarantees pricing and compliance, and simplifies processes.